Recruitment Juice is the market leader in recruitment specific online video learning and the most cost effective and time efficient tool available worldwide to develop your staff. If you’d like to find out more about what we do, book a demo or download our brochure. Ok, so I went on holiday for 10 whole days. Anyone in recruitment knows this length of time is not like 10 days to a normal human, it’s more like dog years because judging by the number of emails I came back to I might as well have been away for a couple of years. https://recruitmentjuice.com/wp-content/uploads/2016/08/logo-300x114.png 0 0 Adrian Tan https://recruitmentjuice.com/wp-content/uploads/2016/08/logo-300x114.png Adrian Tan2015-08-19 13:24:102016-09-07 04:46:40Combatting a 'post-holiday' inbox………. How many job applications have you deleted today? 10? 20? When I was actively recruiting for other employers, I was deleting about 50 job applications per day. That’s about 1,000 of them over a month. If you are constantly reposting a job listing due to irrelevant response, you might like to do some reflection before hitting the publish button again. In fact we are shown how not to do it almost every single minute — from your job applicants. Quarterly business plans (QBPs) work so well in recruitment. As with the four seasons, recruitment trends change considerably throughout the year, so planning in detail for more than 3 months at a time, can sometimes be counter productive. If you are serious about building your business, you should be on Twitter. The benefits for all professionals looking to build brand, enhance their profile, and create relationships are exceptional. Has the time come to pay for LinkedIn? If you are a Recruiter and you are still using LinkedIn for free you have probably got a tough decision to make, either now or in the near future. https://recruitmentjuice.com/wp-content/uploads/2016/08/logo-300x114.png 0 0 Mark Williams https://recruitmentjuice.com/wp-content/uploads/2016/08/logo-300x114.png Mark Williams2015-06-24 10:00:222019-01-28 11:33:34Has the time come to pay for LinkedIn? After working in the recruitment industry for 25 years and several sales roles in one form or another for the 5 years previous to that, KPIs have always been part of my working life… and I love them! 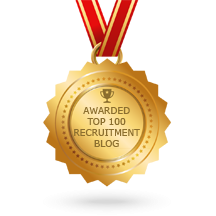 So, having already put my bias out there, this blog post will aim to see both sides of the story, from the senior recruitment consultant setting up on their own as essentially a ‘one man band’, through the true SME aiming to grow, to the international recruitment group with over 1,000 staff. I’ve worked with all of them in relation to performance management. When I ask salespeople and business owners if I can help them with anything, one of the most common answers is time management. People are frazzled. Challenging markets, increased competition, rising expectations and always on technology have created a perfect storm of never-ending tasks that beg to be done. When you look at those who succeed and compare them with those that don’t or those that achieve merely adequate results, one of the differentiating factors is how people use their time. So here, in a quick read (because I know you are short of time) are 11 time management hacks and productivity tips that will help you to achieve more… right away. Agency Recruiters will always beat Internal Recruiters. Always. Even great internal recruiters can never do as good a job for candidates as great agency recruiters do. https://recruitmentjuice.com/wp-content/uploads/2016/08/logo-300x114.png 0 0 Greg Savage https://recruitmentjuice.com/wp-content/uploads/2016/08/logo-300x114.png Greg Savage2015-05-08 08:00:352015-05-08 08:00:35Can Internal Recruiters assist candidates as much as Agency Recruiters can? One of the hardest things to master when becoming a recruitment consultant, is being able to overcome objections. Whether these come from candidates or clients, it’s hard to not take them personally.